Facing possible manslaughter charges after a deadly car accident can leave you feeling lost and worried about the future. How do you protect yourself in the aftermath of a tragedy? Atlanta Defense Attorney Richard Grossman outlines the steps to take. The very first thing you need to do after an accident is get yourself to a safe place if you’re able to. If any vehicle involved in the incident has fallen into water or caught on fire or is in danger of being hit by more oncoming traffic, try to assist other conscious passengers to safety. Call 911 for help. When the police arrive, cooperate to the fullest extent possible. Remain calm, avoid blame-throwing, and share all insurance and contact information the officers ask of you. You may feel a lot of guilt and confusion and even have little memory of the collision. No matter how you feel, do not admit any fault. Even if the situation makes it look obvious that you were to blame, admitting fault can provide proof to convict you in a court case. Once you’re safely at home, contact a defense attorney. You need a law expert on your side who knows which arguments and lines of evidence will work in your favor. The prosecution will aim to prove that negligence or recklessness on your part caused the accident. 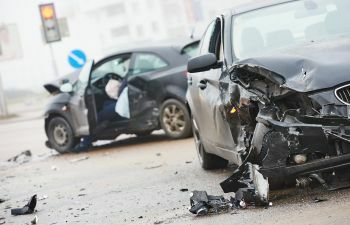 A defense attorney can show how vehicle defects, weather and road conditions, and even the other party’s own driving decisions contributed to the incident. Contact Richard Grossman for a zero-obligation consultation if you have any questions.